Large community, reliable network, a lot of offers and great support. 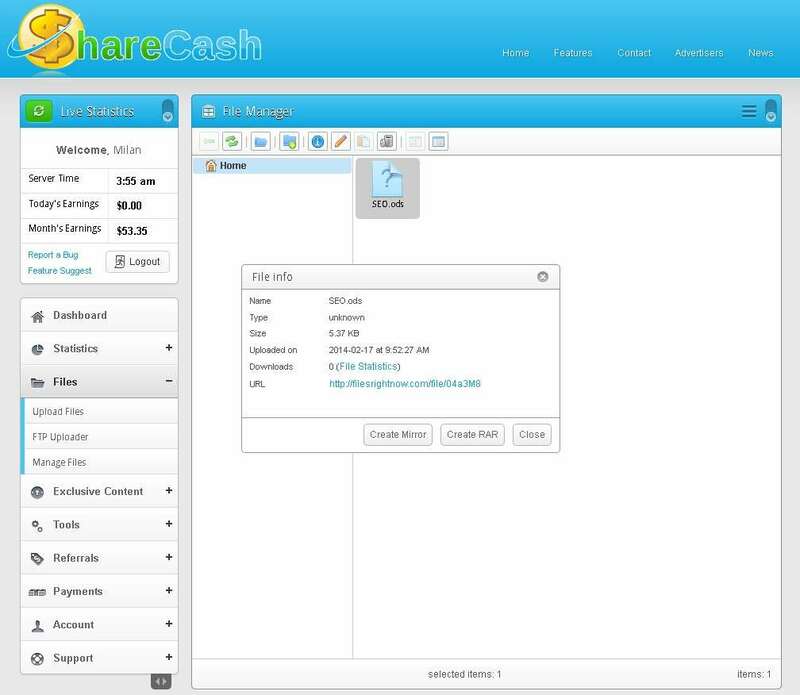 Sharecash is really strict network when it comes to uploading. Sharecash is the most popular PPD network on the earth, so what are you waiting for ? When it comes to internet marketing, almost every internet marketer knows Sharecash. 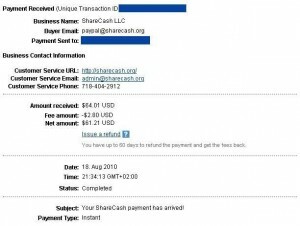 In fact Sharecash is the most popular pay per download (PPD) site in the world and its members base is growing every year and in this Sharecash review I will show you why is Sharecash so popular and if its worth it to actually join it and what you can expect if you decide to join, also I will try to answer general questions that you can have about Sharecash in this review. Registration is compare to other PPD sites very easy and you can use Sharecash immediately after you will join, this is huge time save, because in other PPD sites you have to wait for approval. So now I will show you download page (it has very amazing conversation rate) and file manager (screenshots are below). My opinion is that Sharecash has one of the best landing pages for your files. And there is modern file manager with a lot of functions, where you can edit almost everything to improve conversation rates of your landing pages. Also there is FTP uploader for advanced users and if you want to help to optimize your campaigns, just contact support team and they will assist your for sure. Well as I told you, Sharecash has really powerful landing pages with high conversation rates, but that’s not why I love it. If you decide to register, you will recieve access to their huge library with many ebooks, game guides and a lot of freebies that you give to your visitors and once again, you will make money for doing this. As you can see on the screenshow below from Sharecash members area, there are a lot of free ebooks that you can download. Many people, when they decide to join any PPD website, don’t know what they should actually upload and how to make money with it, well with this Sharecash features one problem is solved, because you can offer high quality content and freebies to your visitors and thanks to high conversation rates landing pages, you will get paid. 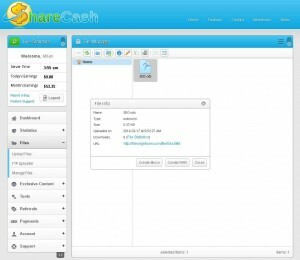 Sharecash has also a lot of other features, that I want to talk about later in this Sharecash review. Well even if Sharecash is the most popular PPD site, many people want to see actually real proof of getting paid via Sharecash. 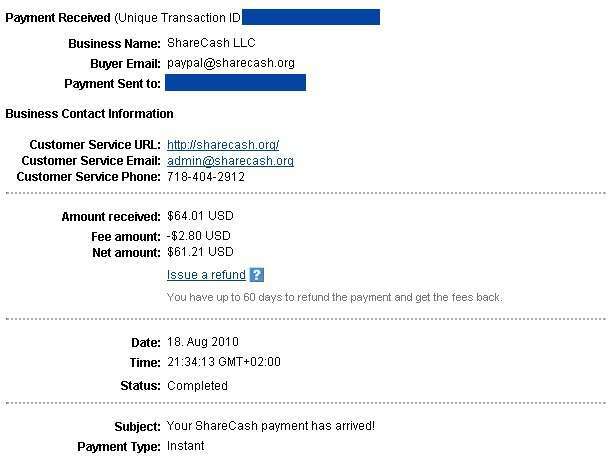 So there is screenshot from paypal account, where you can see that Sharecash is really legit company and you will be happy to become part of this business. Also below this screenshow I will talk about another Sharecash features in order to make this review complete. Well there is high conversation landing page that you can customize as you want, then there are huge ebook library for your visiotrs, a lot of another freebies and great support, so what are another features ? 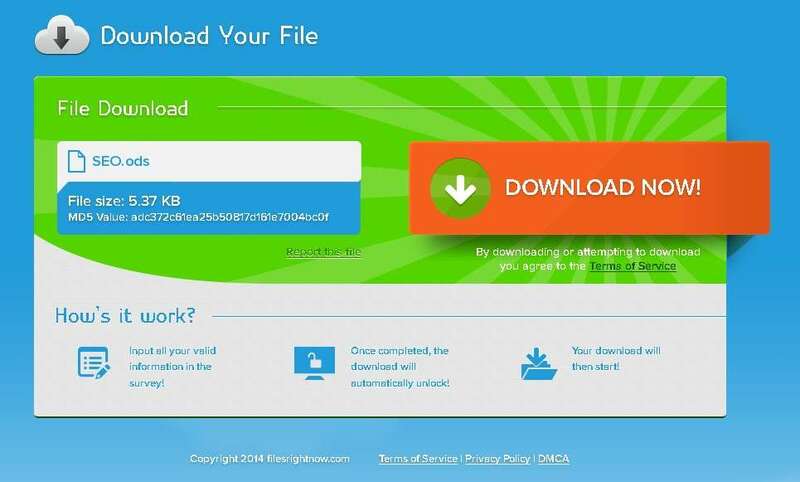 Well there special widgets, link lockers and also file mirrors (this tool allows you to use different domains to host your files, which will increase the likelihood of people clicking your download links). Widgets alias content lockers will help you to monetize your own website, you can host your files or your content directly on your website, but visitors have to fill survey in order to see your content – high conversation rates again. Link lockers will help you to shorten your long urls and also it will help you to make additional money from your traffic. And file mirrors will allow you to host your files on your website, so people will be happy to download it directly from your website. If you are looking for high quality PPD site that will help you to skyrocket your business earnings, then Sharecash may be what you are looking for. Also don’t be shy to contact their affiliate managers, because they are responding very fast and they are helpful. Also if you are worring about your content, then remember that you can download their freebies and use it on your website to make money. Also if you have any questions related to this Sharecash review, feel free to contact me anytime you want or just leave a comment below this review and I will respond you there. Well I hope that you found this Sharecash review useful and helpful and also that it helped you to make the right decision for your business.